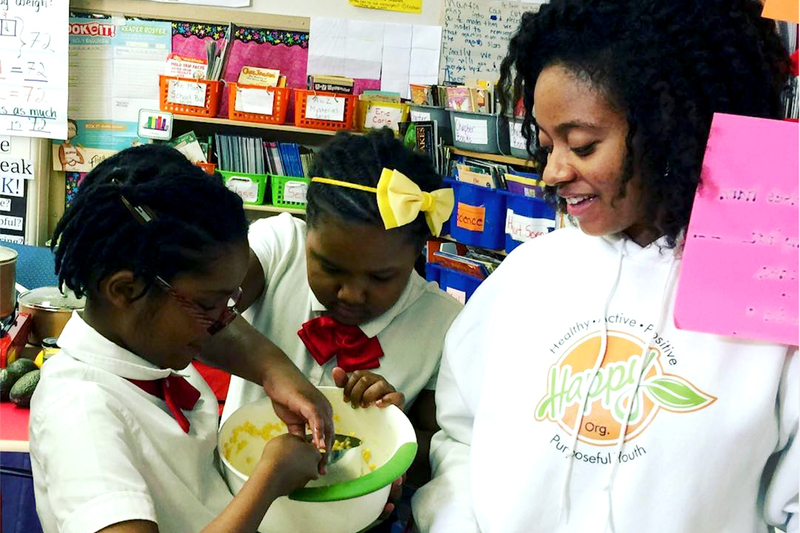 Haile Thomas—activist, health coach, vegan chef, public speaker, and CEO of HAPPY—is on a mission to help young people eat healthier. When Thomas’s father was diagnosed with Type 2 diabetes when she was 10, her family made some big lifestyle changes, shunning processed foods and banning unhealthy ingredients from their kitchen. These adjustments lead to the reversal of her father’s disease, and the transformation inspired Thomas to spread the gospel of a healthy lifestyle. 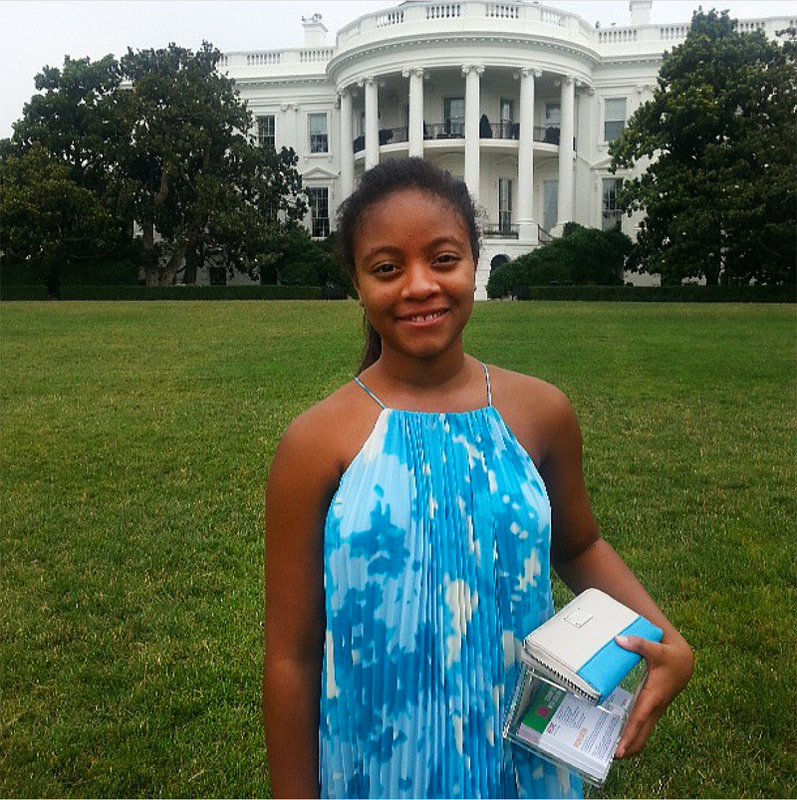 Haile Thomas in front of the White House in 2013. After a few years, the duo expanded their offerings to include a summer camp, also hosted at the local YWCA. Helped by volunteers and supplemented by community wellness leaders, the early version of HAPPY looked a lot like a basic nutrition class. Over the years, Thomas shifted programming to focus on promoting plant-based eating. 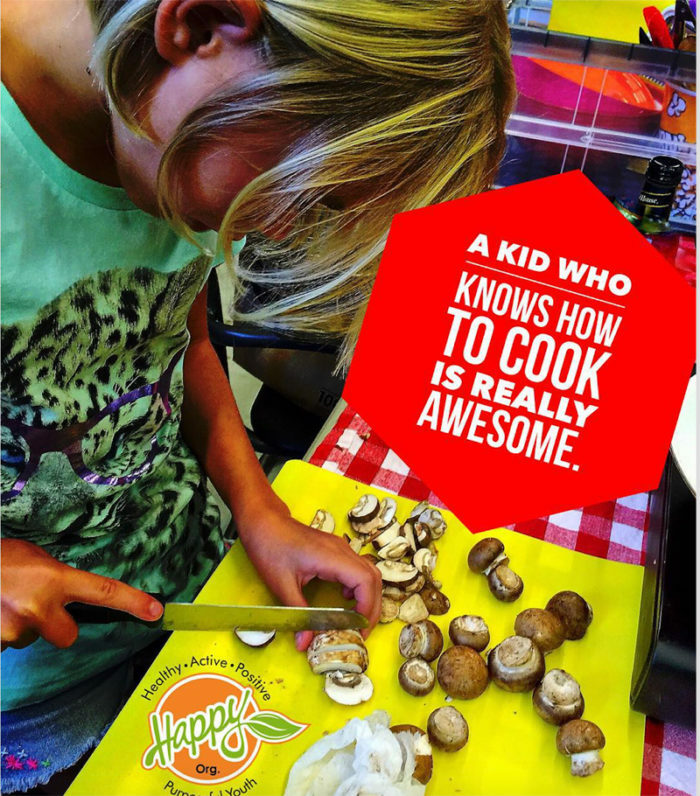 “Kids have a horrible perception of vegetables, so we really wanted to change that specifically and show them the benefits and how they can taste good,” explains Thomas. 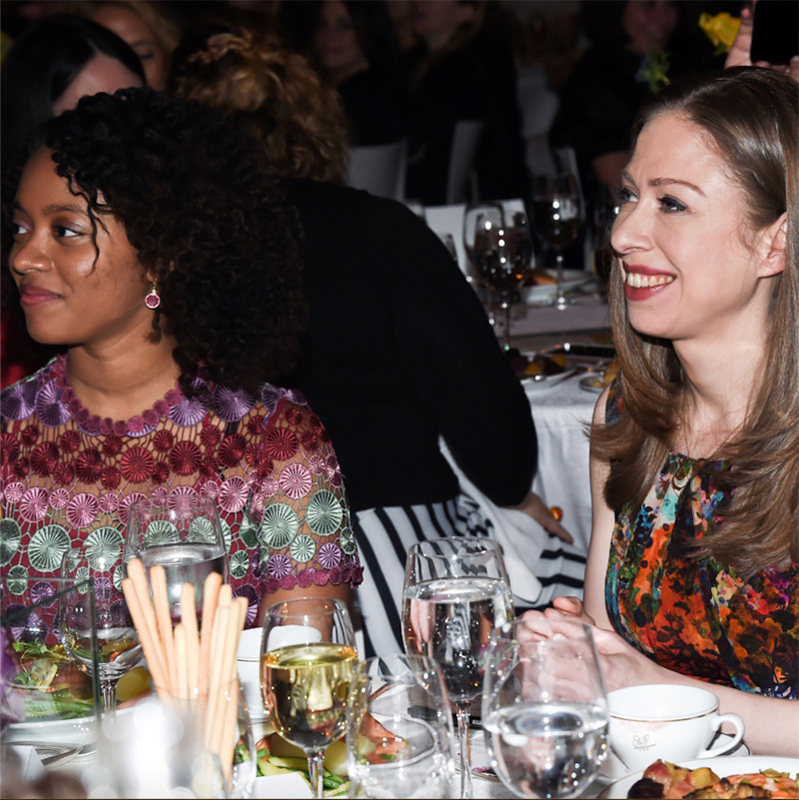 Haile Thomas at a dinner with Chelsea Clinton in 2017. One of the most popular games is “Sugar Shockers,” where Thomas lays out different cereals on a table along with bags of sugar and asks the kids to guess how many teaspoons they believe are in certain products. “That experience is really fun because they’re immediately aware of just how much sugar they’re eating and how small the recommended portions are when compared to the size of a normal bowl,” explains Thomas. As the name of the game suggests, the students are often quite shocked. After they see that having one serving of Fruit Loops is equal to consuming over 3 teaspoons of refined sugar, or that healthier-sounding Raisin Bran clocks in with even more at 4.5 teaspoons, Thomas shows them how to make healthy breakfasts with natural sweeteners. 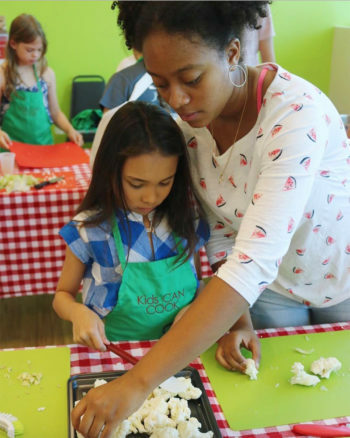 The organization hands out surveys before and after the program to measure impact and has found that 87 percent of youth participants have adopted healthier eating habits after going through HAPPY’s programming. This includes eating more produce, reducing intake of sugary beverages, reading product labels, or cooking more at home. A HAPPY promotional post from 2017. As important as it is to show the negative impacts of unhealthy foods, Thomas also wants to arm the students with the skills to replace those foods with healthier alternatives. After the “Sugar Shockers” game, she takes the class through the process of making their own granola with natural ingredients and fewer sweeteners. Her favorite dish to make with her students? Sweet potato tortilla pizzas. In order to expand their reach, Thomas and her mother are currently working on a new initiative called The HAPPY Academy, which will put all of Thomas’ lessons into a virtual platform so that any teacher and community leader with an internet connection can have access to them. In the spring of 2018, Thomas graduated a year early from home-schooled high school in order to focus more on developing HAPPY and her brand. She recently finished an eight-month process of writing and preparing a proposal for a book of plant-based recipes and wellness tips. And she doesn’t appear to be slowing down any time soon.